For more than 55 years, the Kingery family has been serving the Park County area with impeccable propane service! 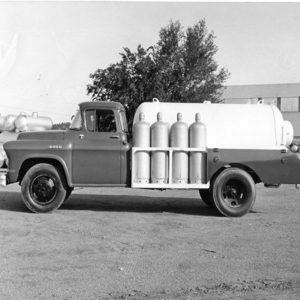 Besides being a pioneer in propane, we are the largest locally owned and operated propane company around. Our family believes customer service is number one! When you choose Bailey Propane, you enjoy the best customer service found in our industry. Contact Bailey Propane and we can make determining your propane service needs as easy as possible. We can help whether you are switching suppliers, own your own tank, building a new home, or switching energy sources. At Bailey Propane, we have the experience, know how, and the personal touch to make your experience a positive one! We had Scott and Roland come hook up our “new” tank on Friday. It was cold and miserable but they did a fantastic job quickly then had to put shovels to my driveway to get out. I was embarrassed but so thankful to them. They are top notch in my book. Thanks to them and all with Baily Propane. If I have the names wrong,I apologize. Thank you. We are new to Indian Mountain and have had service for a short time. Our driver ( BOB ) that stops by has been very helpful, answered our questions and is very friendly. It is nice to have this type of service being new to propane. Can you put your hours of operation in your website? Thanks. Our office hours are 8-4 Monday-Friday. Drivers may be out delivering later than that though.